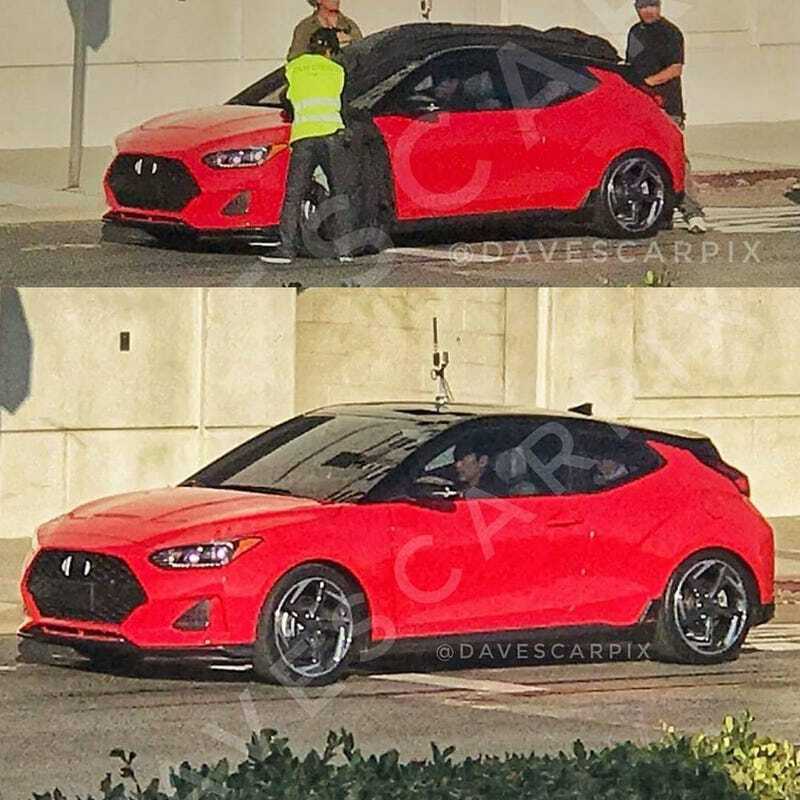 The second generation Veloster was spotted from the bushes by @davescarpix in Long Beach, CA during a commercial shoot a couple of days ago. It looks to be the 1.6t variant (201 hp currently) based on the wheels and adherence to the blacked-out roof and pillars trend. The Veloster has definitely switched from being an Accent “Coupe” to more of a 100 calorie pack Elantra. The 2nd generation Veloster will be unveiled next month in Detroit. Unfortunately, I’m not sure if the hot Hyundai Veloster N will be unveiled alongside its lower lukewarm siblings in January. Hyundai may hold out on it and give the N Performance Brand their own time outside the show to better standout since it will be their big introduction into the North American market. Introducing a performance brand to America with a $25,000 hatchback is a bold move, Cotton. Let’s see how it plays out. *Part of me wonders if Hyundai is going to “limit” production of the Veloster N to around 1,200 units or something because I bet they wont be able to get the pricing below the GTI, let alone Focus ST. So far the Hyundai i30 N hatchback has become a European gem. There is near-unanimous agreement that the Hyundai hot-hatch beats the Volkswagen GTI when it comes to delivering smiles per gallon and bpms on the tachometer. It’s assumed that the Veloster N will have the 245 hp version of that same 2.0l turbo four-plopper. If North America is basically getting a smaller, lighter, and cheaper version of that European car then we may have something that sits in the gap between the Fiesta ST and Focus ST. Of course that gap would be substantially embiggened if the Fiesta takes a siesta. Did I mention a 10 year/100,000 powertrain warranty and more quirks than that Doug DeMuro Christmas album entitled Sandal Claus is Coming to Town & Country? **Update: AutoGuide has some better pictures.